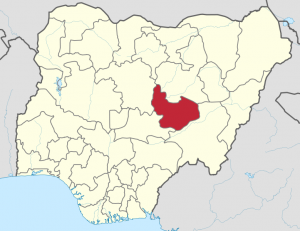 JOS, Nigeria (Morning Star News) – Muslim Fulani herdsmen attacks on predominantly Christian Berom farmers in Plateau state, Nigeria amount to “economic terrorism,” Christian leaders told Morning Star News. 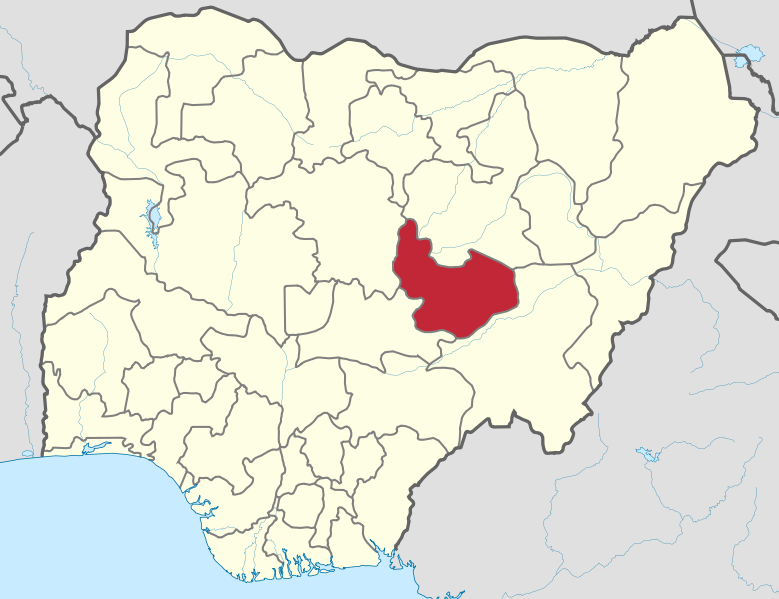 While Plateau state officials say “relative peace” prevails, Christian leaders point to herdsmen attacks in the past eight months that saw 18 Christians injured and two villages seized. Whether the “peace” is said to be relative to violence in northern neighbor Kaduna state, where attacks are so prevalent that officials dictated a news blackout, or with Plateau state flare-ups of past decades in which thousands died, Christian leaders told Morning Star News that attacks by Muslim Fulani herdsmen since December have quietly continued. A pastor and his 5-year-old son were injured in May, four Christian women were raped, 12 Christians were injured and two communities displaced in attacks on 17 villages in the Barkin Ladi and Riyom Local Government Areas, said Christian leaders Choji Chuwang, Jatau Gyang, and Da Jelkyes. Chuwang said all those affected were members of the Church of Christ in Nations (COCIN) and Assemblies of God. “As we gleefully wallow in the false sense of peace on the Plateau, know it today that a deliberate economic terrorism and land-grabbing strategy is being launched on Christians of Riyom and Barkin Ladi on a daily basis with the sole aim of making them poor, weak and destitute in their own land,” he said. 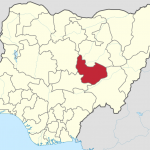 Management Committee Chairman of Riyom Local Government of Plateau State Mafeng Gwalson told media in May that the area was enjoying relative peace because the relationship between the security operatives and the citizens had been strengthened. Two Fulani herdsmen on June 6 assaulted and raped a Christian woman (name withheld) in Dayan Rim, Riyom LGA, then tied her to a tree from 1 p.m. until 7 p.m., he said. Later apprehended, the Fulani herders admitted they had raped her and tied her to a tree. Later that night, Fulani herdsmen invaded Lwa community of Riyom LGA and removed the roofs of all the houses while Christians there were away from their homes at a wake. In the past eight months, Fulani herders have attacked eight Christian women, he said: Tanitha Luka, Rifkatu Emmanuel Pam, Victoria Monday, and one identified only her surname, Maichibi. The identities of four other women were not disclosed because they were raped by the herdsmen, he said. On July 2, Fulani herdsmen ambushed and attacked Christian women returning from a mining site, injuring many of them, he said. On July 7, Fulani pastoralists grazed their cows on maize farms of Christian villagers of Rim community, Riyom LGA, at night, destroying about six hectares of farmland. On the evening of June 17, when inhabitants had returned home, herdsmen grazed their cattle on the farmland of Gyang Yarima and Davou Mwagwong, both of Vwak hamlet in Jol, Chuwang said. The next night, the herdsmen destroyed the maize crops of Joshua Peter of Dajol hamlet, Jol, he said. On June 28, Fulani herdsmen ambushed Christian villagers of Jol who were returning from mining, seriously wounding five of them. A heated argument on May 1 between Fulani leaders and Solomon Mandiks resulted in an altercation at the Riyom police station; Mandiks had been petitioning against the forceful occupation of lands sacked by the herdsmen. On May 8, Chuwang said, a Fulani man had threatened Mandiks, saying that his days were numbered as Fulanis had just met in Gwav and decided that he should be “silenced” for petitioning their “rightful claim” to lands they have seized. On May 9, Fulani herders attacked and seriously injured Gyang Dambwarang for raising his voice when they grazed their cows into his compound, Chuwang said. On May 19, Fulani herdsmen attacked three Christians on the Rafin-Acha to Tanjol road, fatally injuring David Yakubu. “They ran away and their cows were apprehended and handed over to security operatives,” Chuwang said. The cows were released to the owner that night “on the excuse that the owner of the cows showed some scratches to his hand, saying that he was also attacked,” he said. On May 17, the head of Darin, in Jol, was attacked by Fulani herders, who left him in a coma, apparently thinking he was dead, he said. In Werreng Rim, Davou Joro Mangai was attacked on April 4 and seriously injured by suspected Islamic terrorists and/or Fulani herdsmen, who cut down cactus trees that Christians used as a fence around their houses, and grazed their cattle on their lands. Two of the Fulani attackers were apprehended and handed over to Riyom police, Chuwang said. On April 5, at about 7 p.m., herdsmen grazed their cattle on crops belonging to Emmanuel Gankis of Jol community, he said. At a mining site at Rafin-Acha of Jol on April 21, Fulani herders attacked Mathew Samuel; the next day, two young Christian men were attacked by herders along Rafin-Acha Road in Jol. “On March 9, Fulani herdsmen mowed down the banana farms of our people of Lwa community of Bachit District in Riyom LGA,” Chuwang said. On Feb. 20, Fulanis erected massive and settlements on the Tagabos area of Sho community, which had been sacked by overnight raids “in a definite statement of occupation,” Chuwang said. On Jan. 18, Islamic extremists attacked and injured a Jol woman, Rifkatu Emmanuel Pam, he said. Also in Jol on the morning of Jan. 28, Fulani herdsmen tried to kidnap Dachung Maichibi, his wife and son in the Darin area. Later that night, they destroyed mud blocks molded by Internally Displaced People of Zim community in Ropp District of Barkin Ladi LGA, along with those of Jol who were trying to rebuild their razed houses, he said. “On Jan. 20, Fulani herdsmen attacked our women on their farms at Mere hamlet of Rahoss Community in Riyom LGA, injuring one Mrs. Victoria Monday as others escaped,” he said. One Dec. 8, 2016, Fulani herdsmen set ablaze piles of freshly harvested millet and beans belonging to the people of Nachur and Sopp communities, he said. On Dec. 9, Fulani herders attacked children at Kum of Byei community; Tabitha Lula of Werreng escaped after she was nearly killed, he said. On the evening of Dec. 18, Fulani herdsmen led their cows to graze on the cabbage farm of Christians. They were apprehended, and the cattle of one of the herders, Musa Shuaibu of Rankum community (renamed Mahanga by the Fulani), were handed over to security agents, Chuwang said. These encroachments and attacks should not be ignored, he said. “If this doesn’t disturb us collectively as Plateau people, then let’s keep playing the ostrich as they forcefully take Plateau state inch by inch, day by day,” Chuwang said. Predominantly Muslim Fulani herdsmen have launched numerous attacks on Christians in northern and central Nigeria. Christians make up 51.3 percent of Nigeria’s population, while Muslims living primarily in the north and middle belt account for 45 percent.